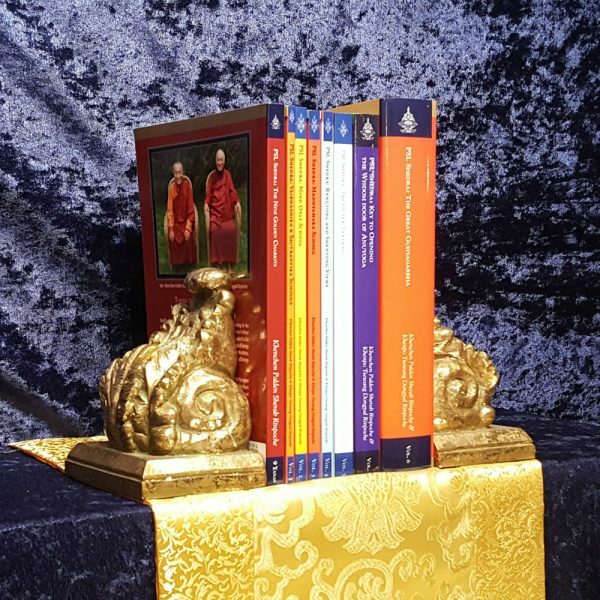 The complete Padma Samye Ling Shedra Series includes eight books by the Venerable Khenpo Rinpoches that cover their Shedra teachings from 2003 – 2009 at Padma Samye Ling Monastery and Retreat Center in upstate New York, as well as an overview on all of the nine yanas that Khenchen Palden Sherab Rinpoche gave in Australia in 1987. 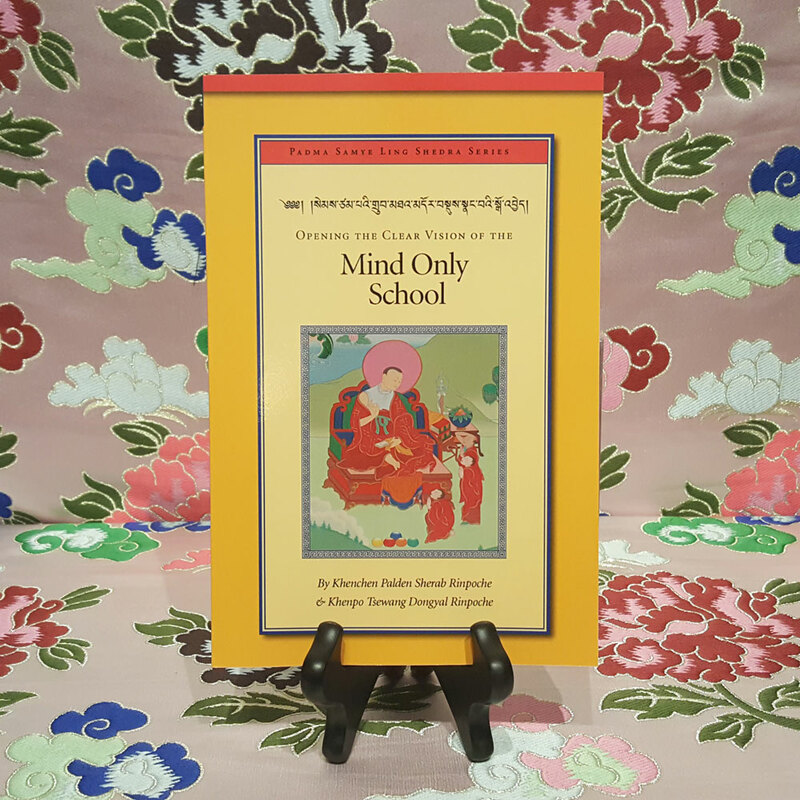 These teachings include: the essential philosophical points of the Vaibhashika, Sautrantika, Mind Only (Chittamatra), and Madhyamaka Schools, as well as extensive instructions on the union of Rangtong and Shentong views as taught by the great masters Longchenpa and Mipham Rinpoche, teachings on the three Outer Tantras according to the Grand Samadhi Tantra, and Mahayoga and Anuyoga teachings. 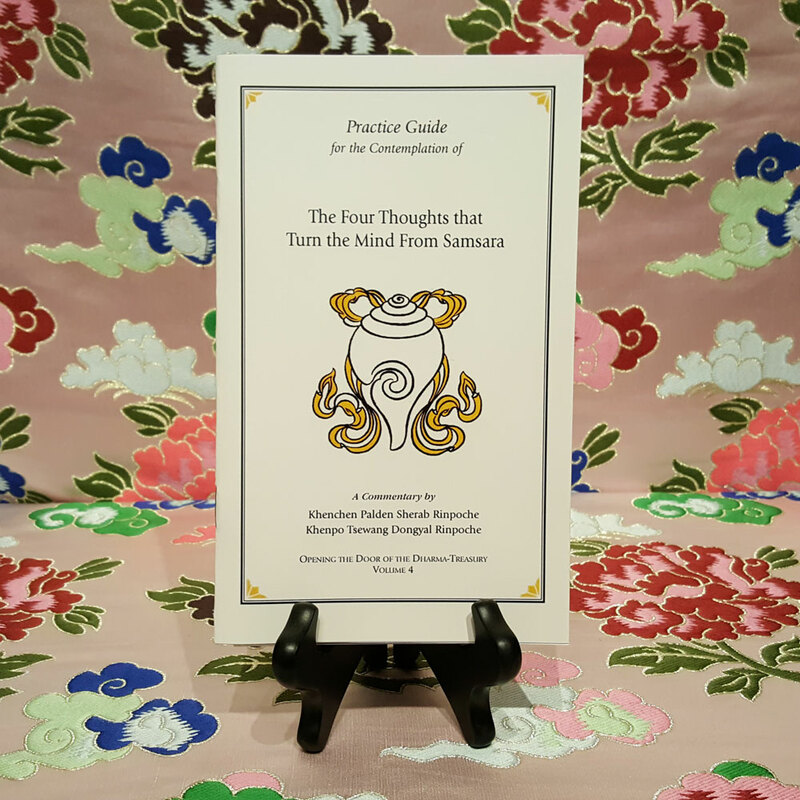 Each book is an edited transcription of the shedra teachings given by the Venerable Khenpo Rinpoches. 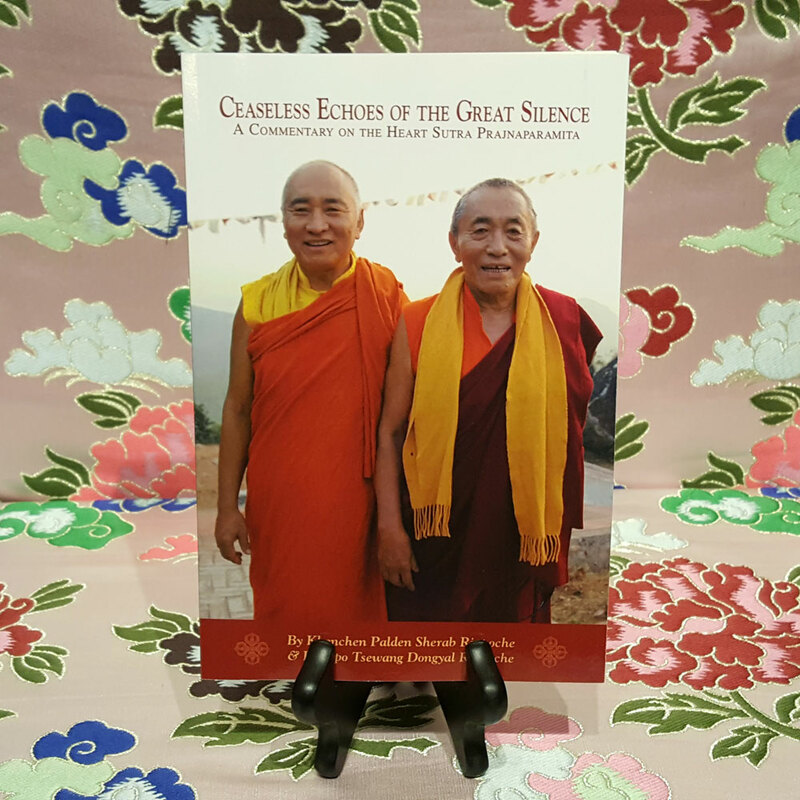 As a set they incorporate over 150 hours of teaching by the Venerable Khenpo Rinpoches including numerous selections from the question-and-answer sessions between Rinpoches and their students. 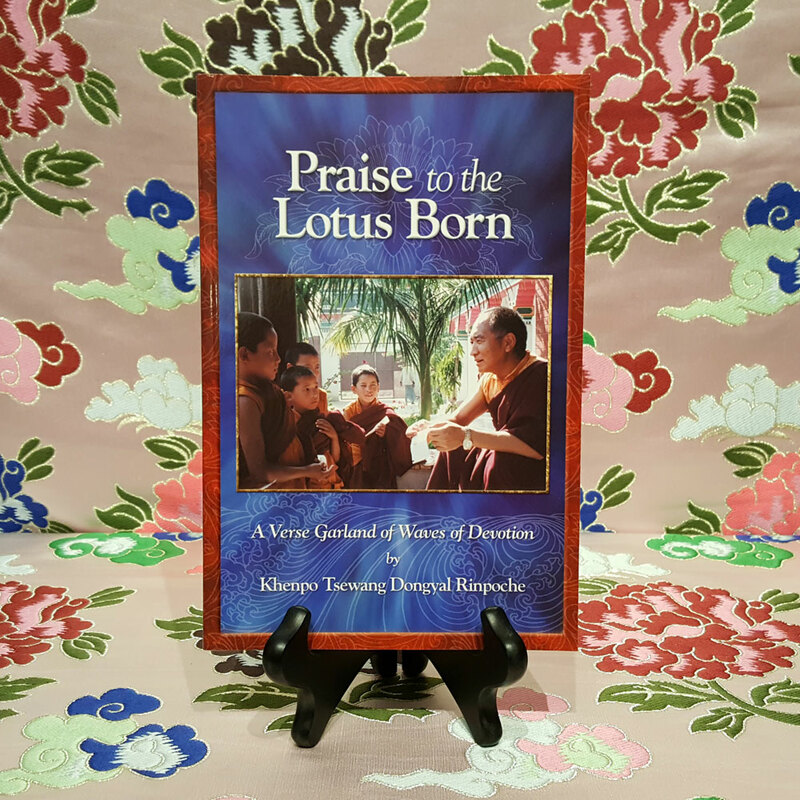 Seven of these books are paperback and published by Dharma Samudra in 2007, 2008, 2009, and 2015. The Great Guhyagarbha is a cloth hardback book, and was published in 2011.